Product Dimensions: 11" x 11"
• In addition to purchasing online, Florists to the Field is available at fine retailers in your area. 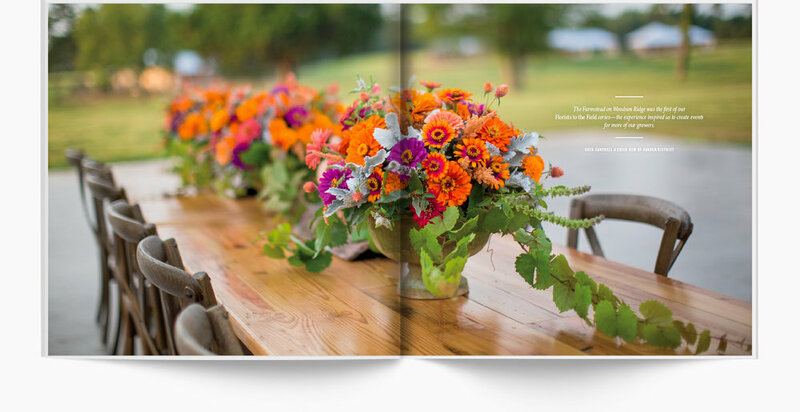 • For wholesale inquiries or information about hosting a Florists to the Field event, contact us at info@southerlymedia.com. Florists to the Field is one of this floral design team’s most ambitious endeavors to date and a worthwhile testimony to their work—avant-garde resourcefulness that employs flowers to complement settings, mirror emotions, and enrich lives. Join Greg and Erick on their Florists to the Field excursion. From the Deep South to the West Coast, through the Midwest and across the ocean to Holland, these are the places where they find inspiration. Request access to download high-res imagery, biographies, summary and additional information needed for media coverage. Thank you for your interest! A member of Southerly Media will contact you shortly.